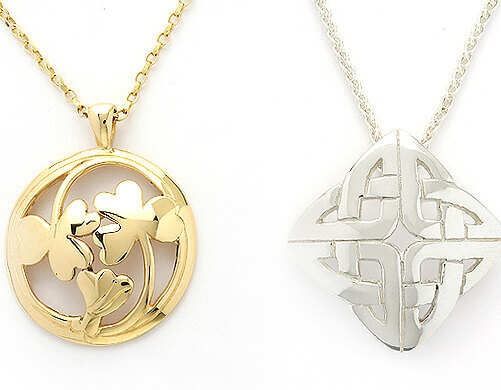 We offer a huge range of handmade Celtic jewelry, including jewelry for women and men, that has been inspired by ancient Celtic designs such as the Trinity knot, believed to represent the triple Celtic goddesses (although in modern times it is often thought to represent the Holy Trinity) and the famous Claddagh design, which symbolizes love, loyalty and friendship. 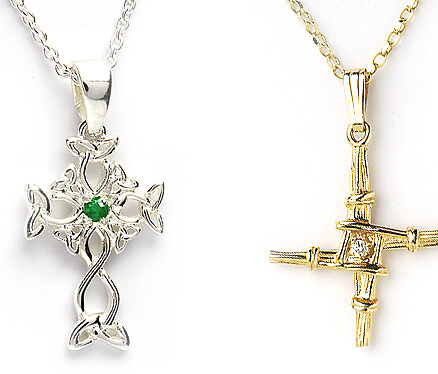 With such an extensive collection of Celtic jewelry to choose from, you are bound to find the perfect piece for you and your loved ones. 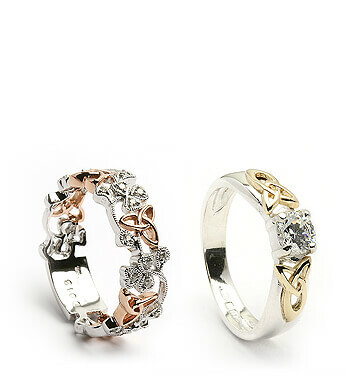 Each of our Celtic rings are handcrafted here in Dublin and hallmarked at the Dublin Assays office. 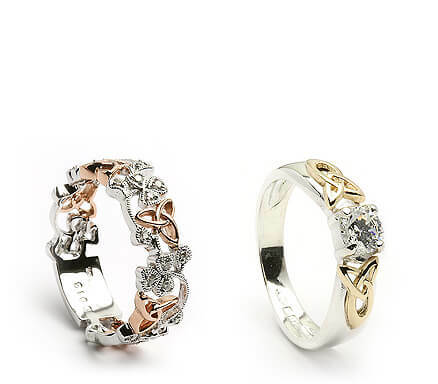 This is your proof of origin and mark of quality for your jewelry, giving you confidence that the Irish jewelry for men and women that you purchase is authentic. 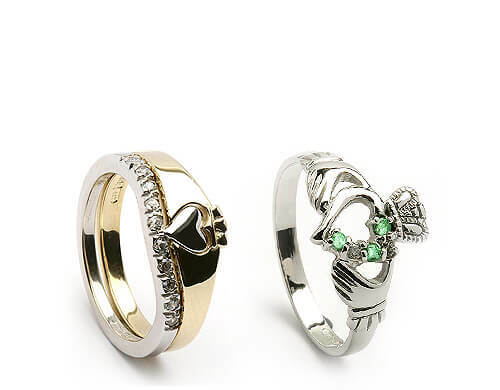 We have an extensive range of authentic Claddagh rings, all handmade in Ireland. 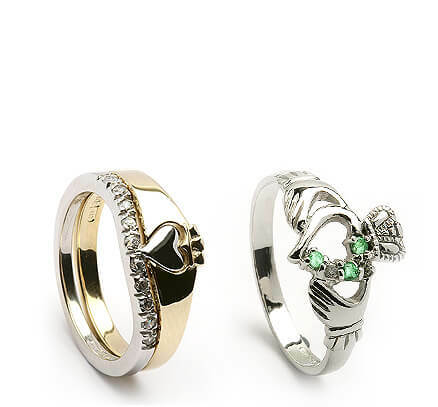 These beautiful rings represent love, loyalty and friendship, and they are excellent jewelry for women gifts and for mens presents. 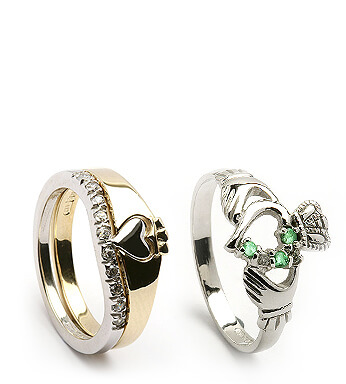 Looking for the perfect gift for her? 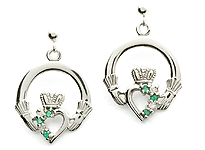 Appreciate the beauty of Irish jewelry? A Celtic pendant is much more than just a beautiful piece of jewelry. 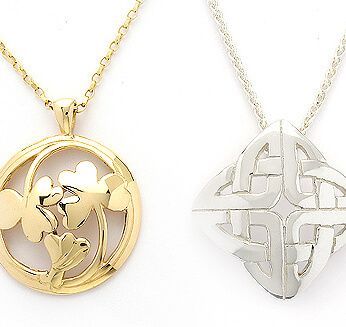 Inspired by ancient Celtic designs, these pendants, like our other jewelry for women, are steeped in Celtic history and heritage. 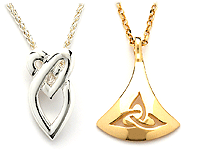 She'll love the sterling silver jewelry that you choose, and you can find some great mens jewelry to match it as well. You'll look great for your night on the town.Every pendant is handmade and comes with an 18-inch chain and luxury presentation box, making it the perfect jewelry gift. 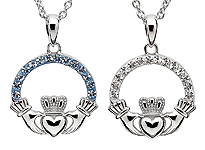 This design of our Irish jewelry for men and women is recognizable across the globe. 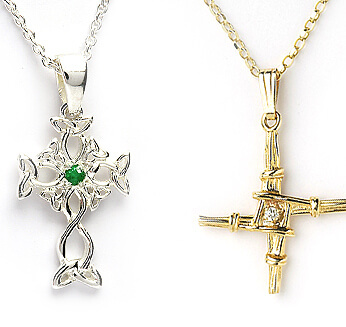 All our crosses come in silver, gold, or white gold. 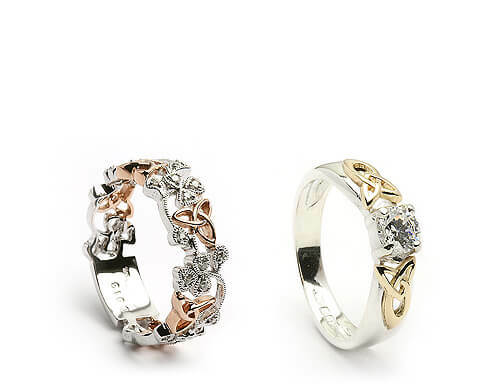 Some even combine metals for a more striking appearance, giving you options beyond the standard sterling silver jewelry choices. 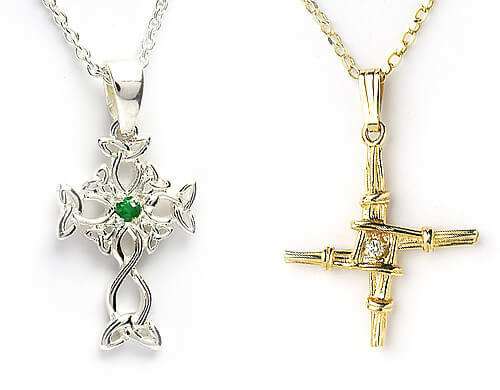 Each of our Celtic crosses comes with an 18-inch chain of the same metal and a luxury presentation box. 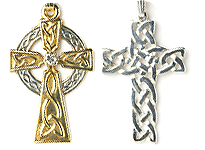 They make great mens Celtic jewelry and women's Celtic jewelry gifts. 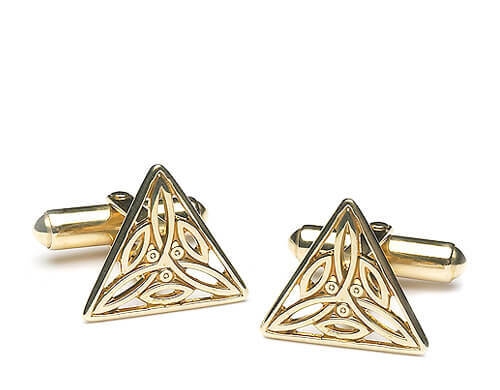 Browse our collection of Celtic earrings in our Irish jewelry catalog. 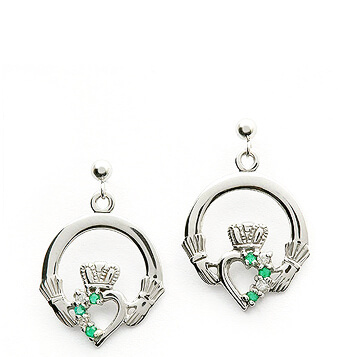 These earrings come in a variety of shapes and sizes, some with gemstones for added color. 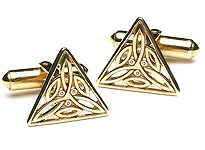 Most of our Celtic jewelry earrings also have matching pendants available. 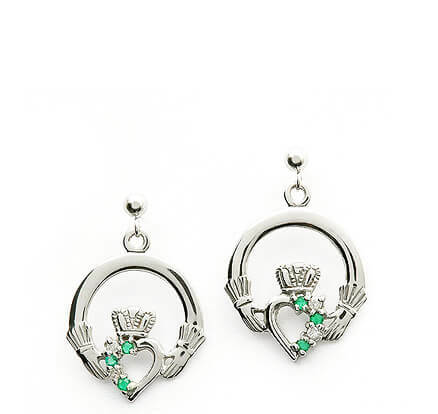 These beautifully designed earrings are all handmade, and they are available as sterling silver Celtic jewelry and jewelry made from other metals. 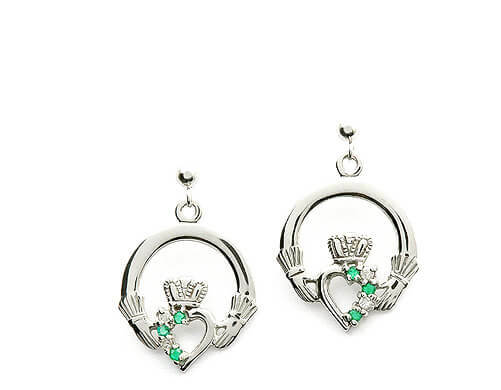 All earrings come with a luxury presentation gift box. It is always a difficult task buying a good gift for him. 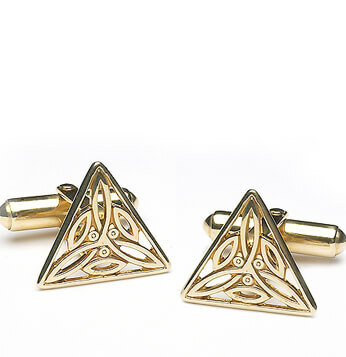 We have made it a whole lot easier now with our range of unique Celtic cufflinks in our mens Celtic jewelry selection. 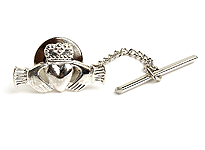 Mix tradition with style with these beautiful cufflinks, and you'll end up with some stunning Irish jewelry for men. 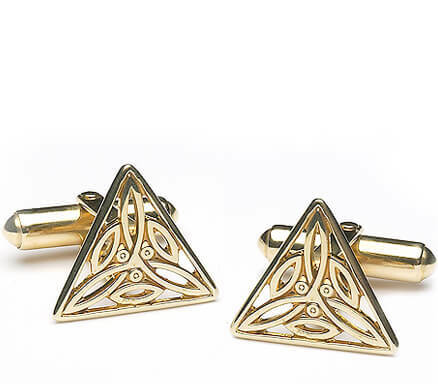 Handcrafted here in Ireland, these exquisite cufflinks come with their own luxury gift box to complete your Celtic jewelry for men gift presentation.